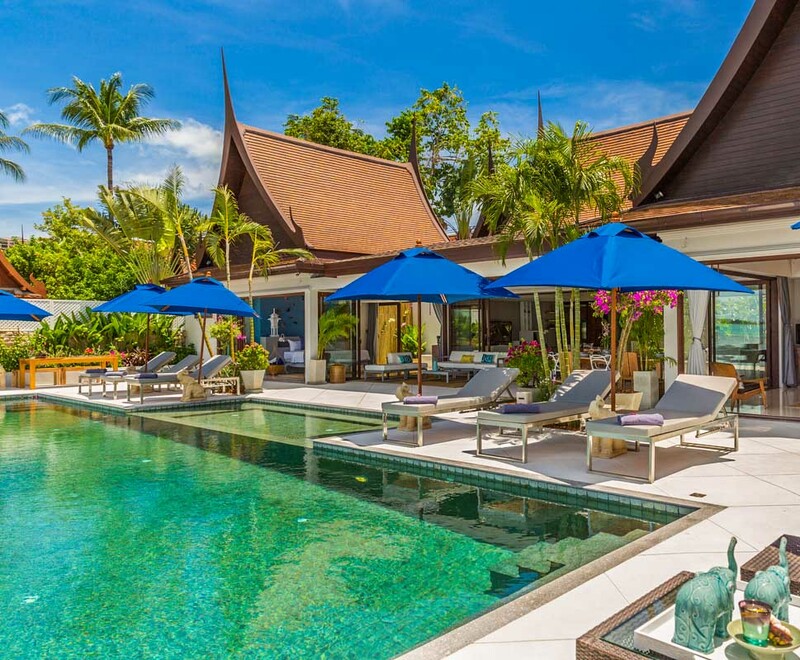 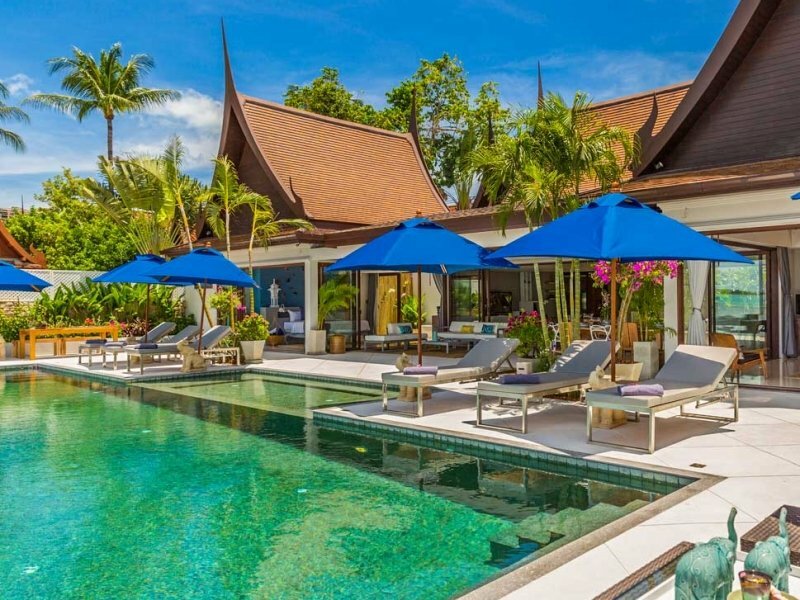 At Baan Capo, guests have the perfect combination of being close to entertainment, yet the villa itself offers privacy and serenity. 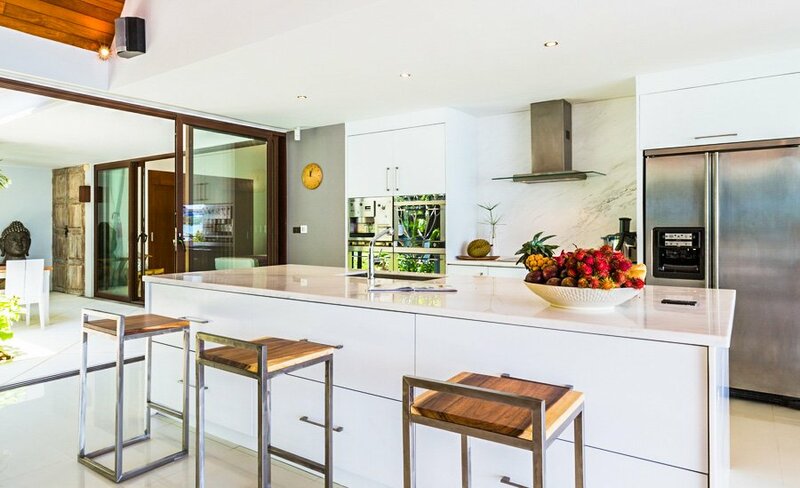 From the beautiful entrance courtyard, glass sliding doors lead to a spacious living room, open plan to the fully equipped kitchen. 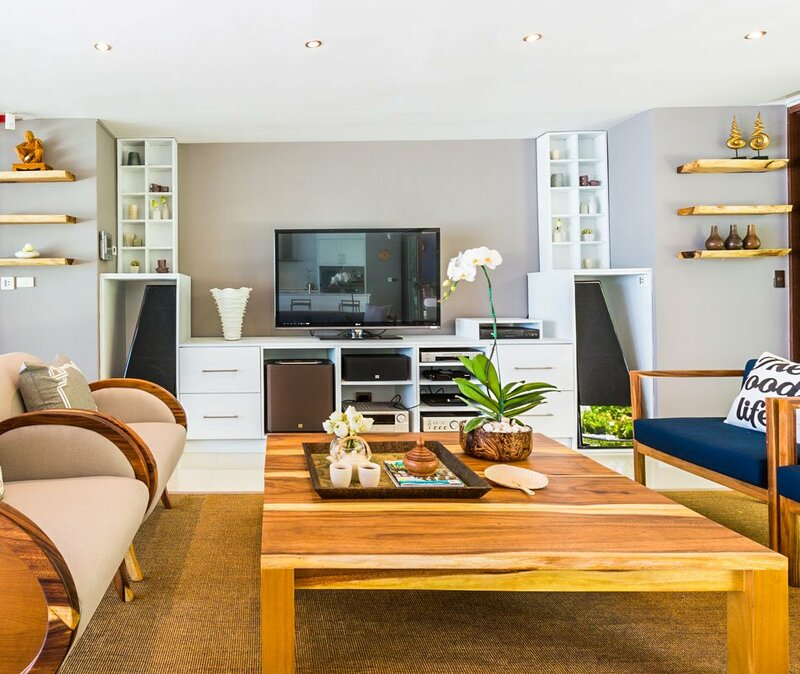 This communal space is tastefully furnished with a sea-grass carpet, bespoke chairs and sofas, and scatter cushions to bring in the colors of the sea just outside. 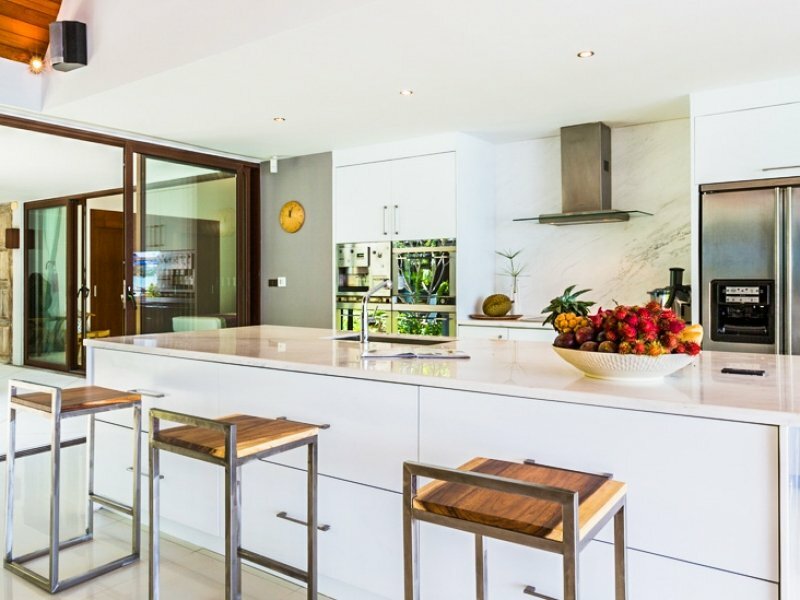 The open-plan kitchen comes complete with top-of-the-range SMEG appliances, including a coffee machine, microwave oven, 2 standard ovens and a wine fridge. 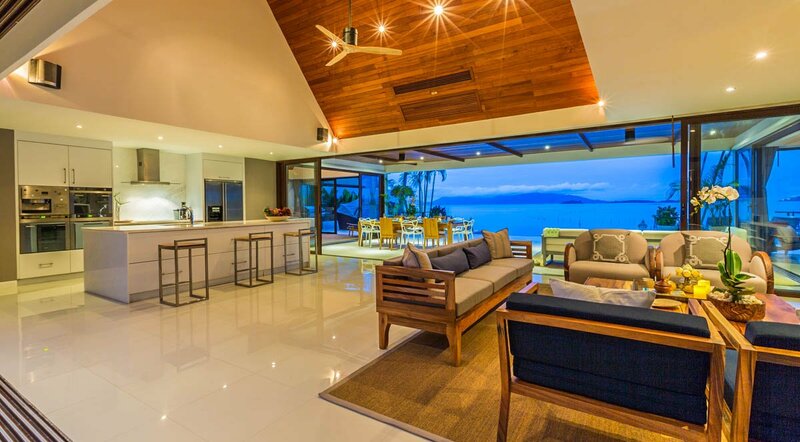 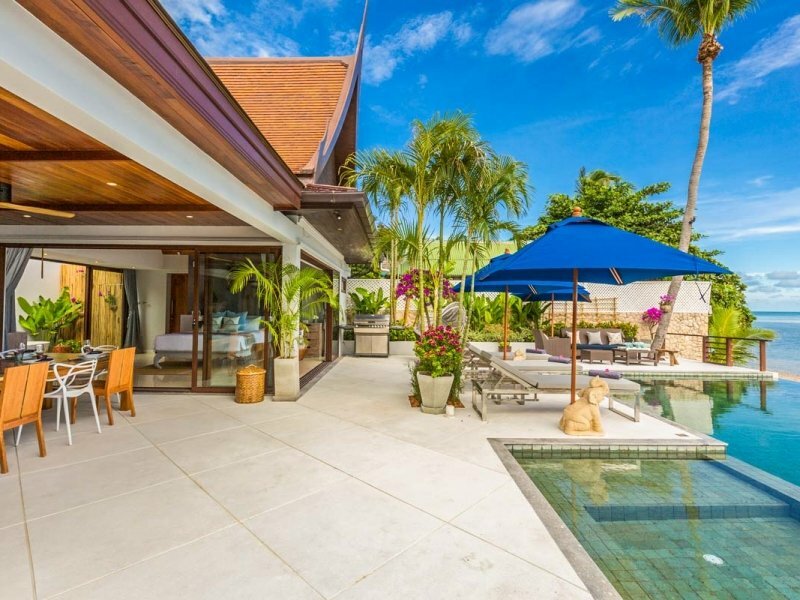 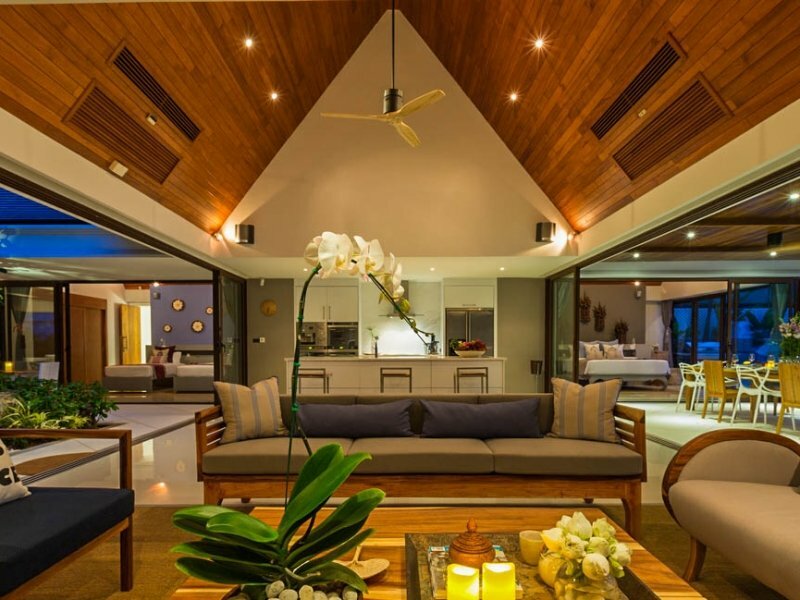 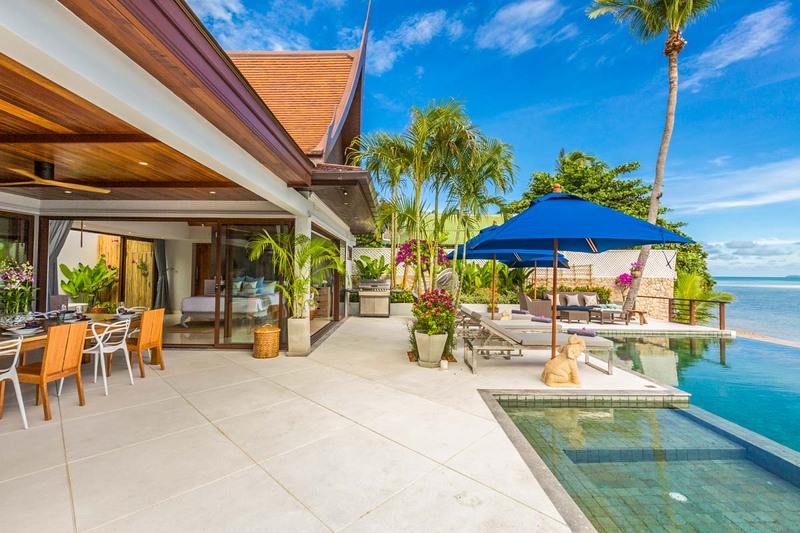 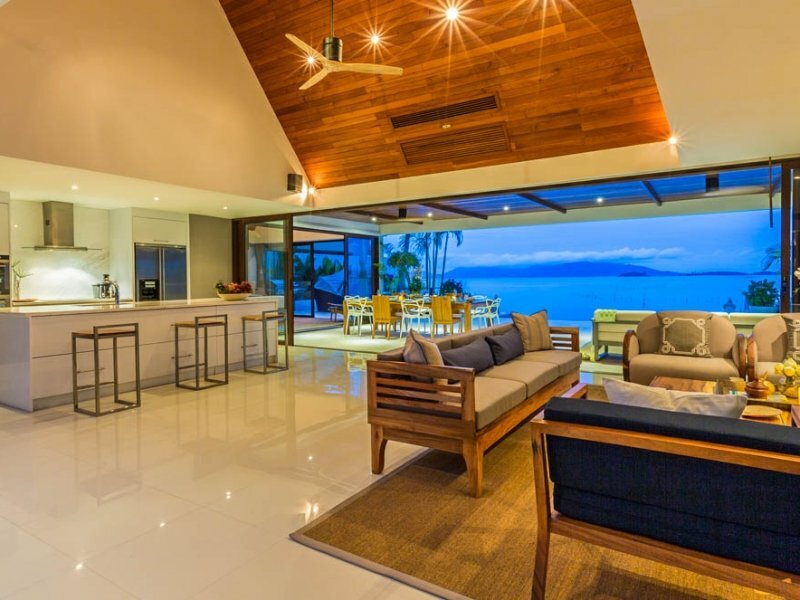 Baan Capo’s living room opens up with floor-to-ceiling glass doors to the outside patio and pool deck. 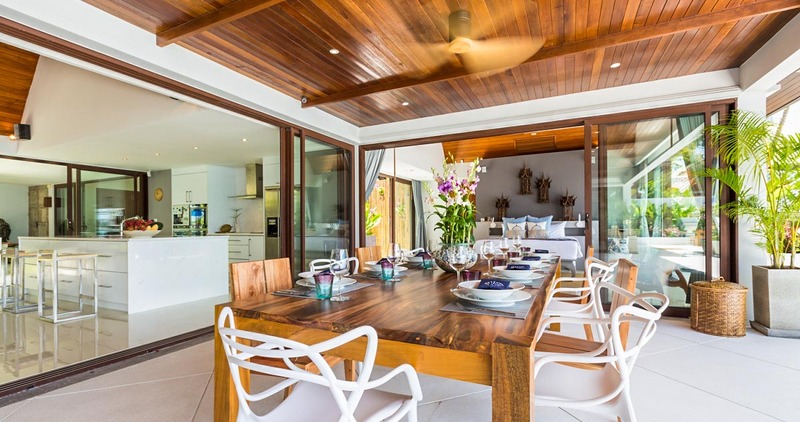 A spacious covered area houses the 10-seater hard wood dining table, and outdoor lounge suite, ideal for when shade beckons. 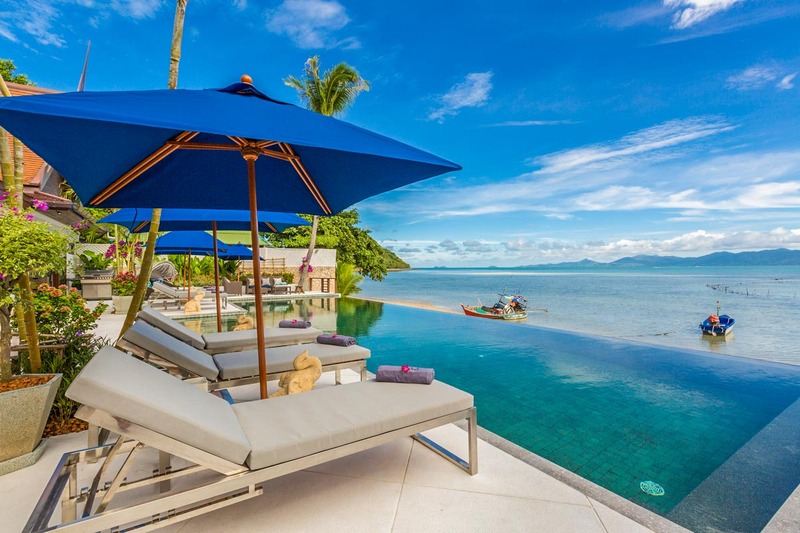 Sun-seekers can move to the sun deck where the expansive infinity pool takes center stage and is flanked by sunbeds, parasols, and plenty of outside chill spots, such as another dining table, couches, and a canopied ‘cuddle chair’ as well as a state-of-the-art BBQ. 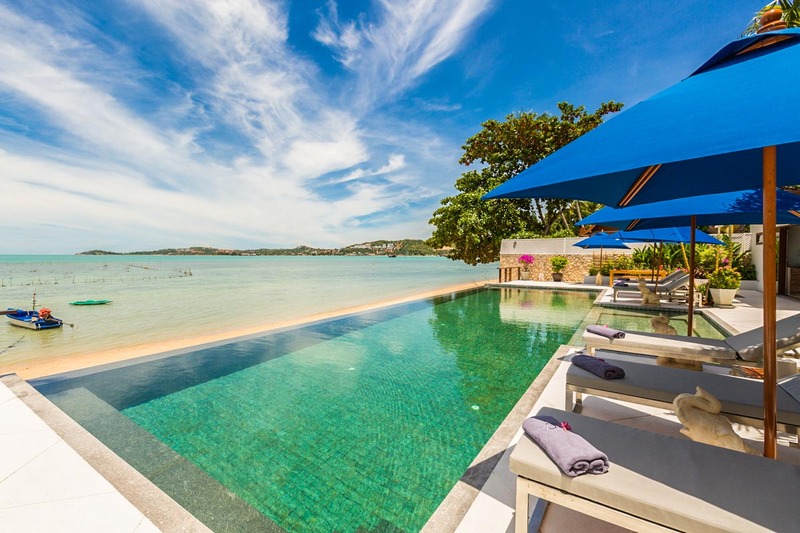 The rim-flow pool has a shallow section for children and stairs lead down from the pool deck to the quiet part of Bang Rak Beach. 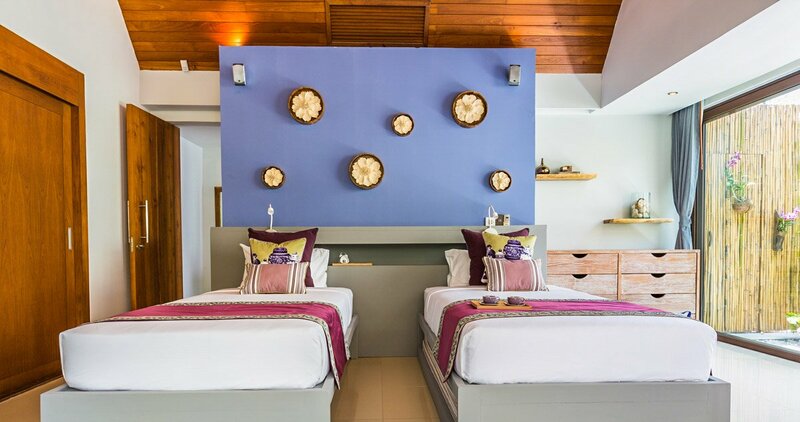 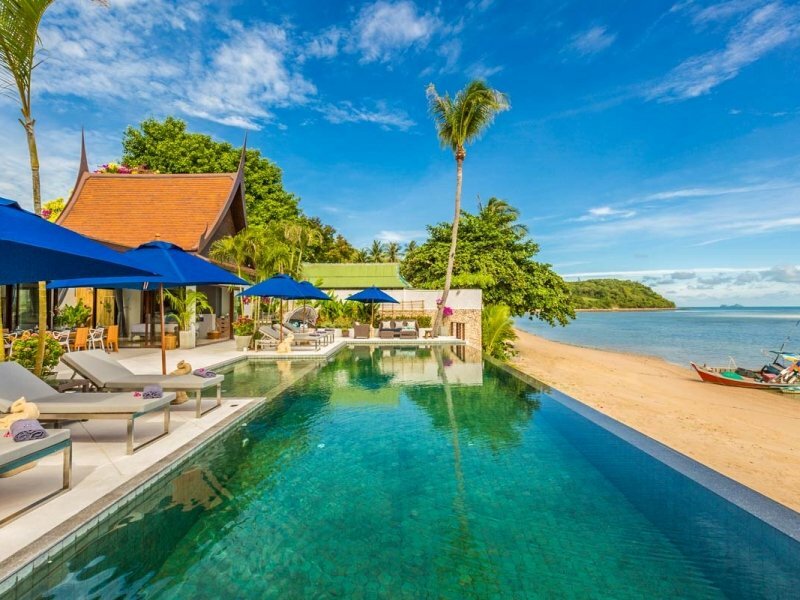 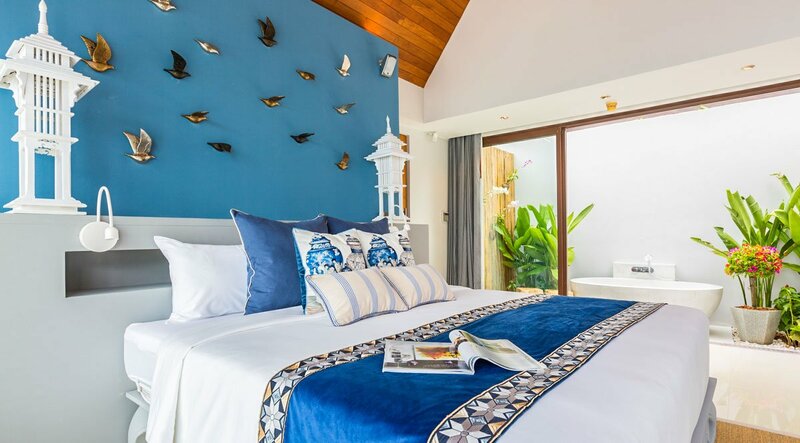 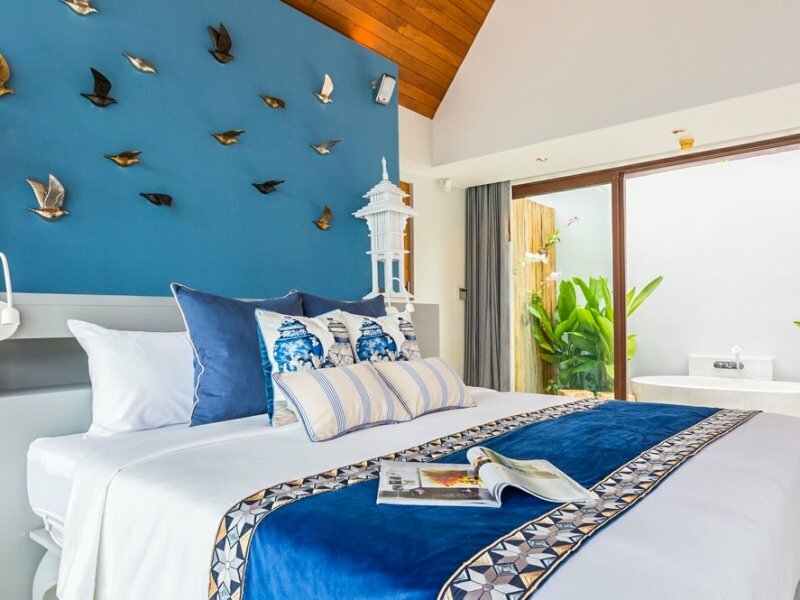 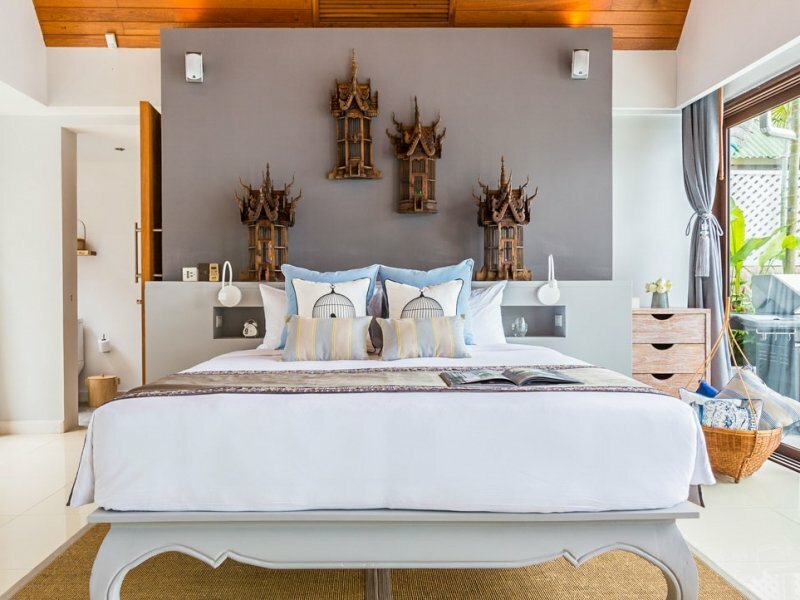 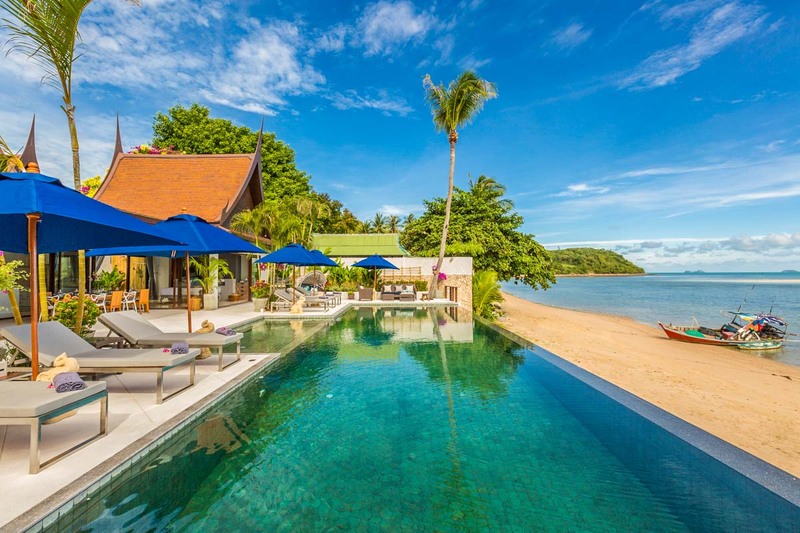 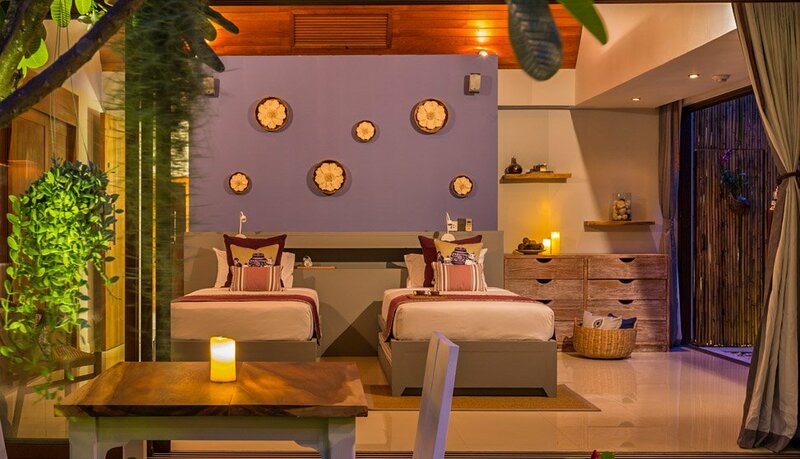 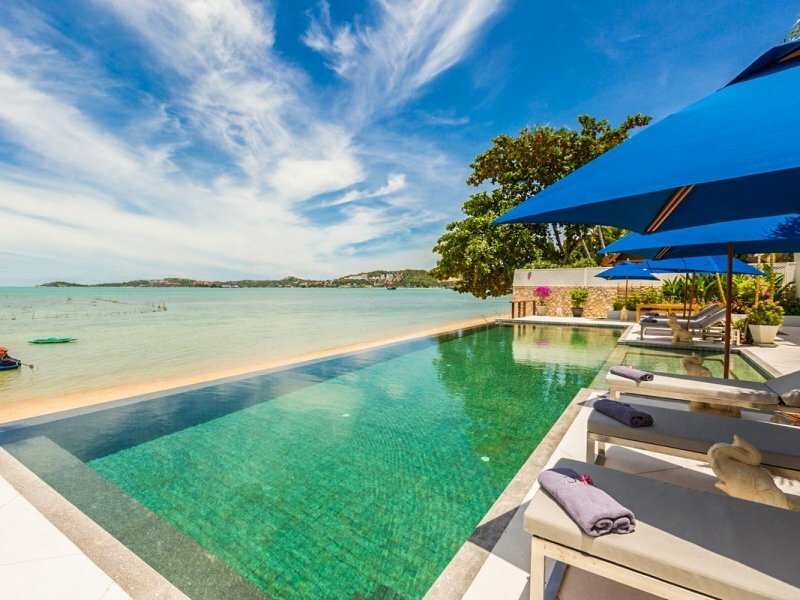 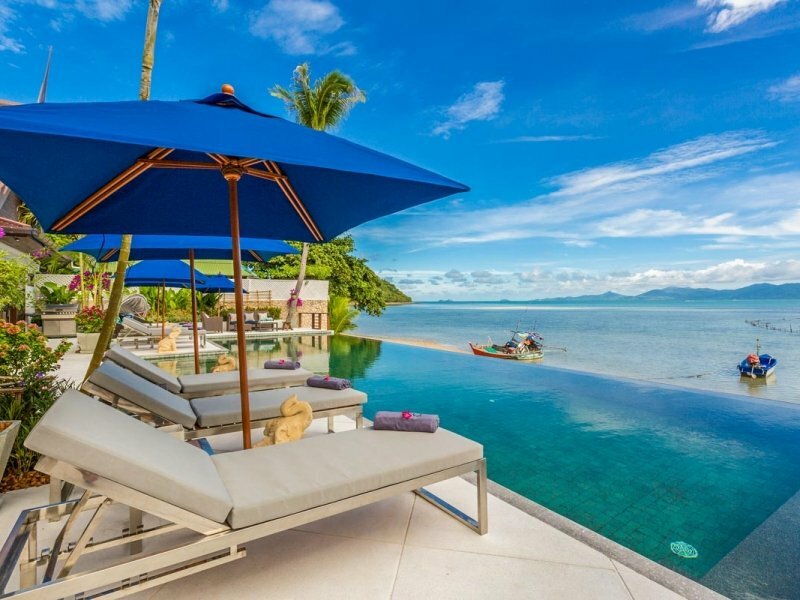 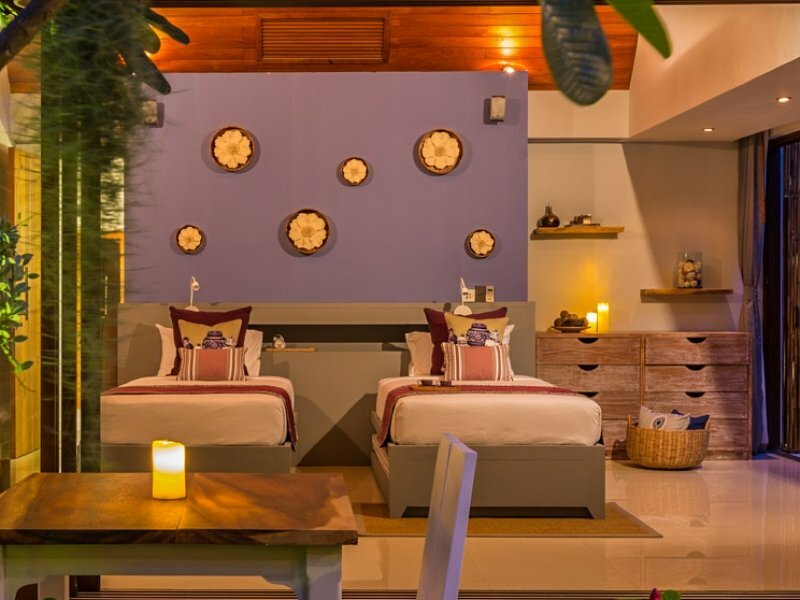 Baan Capo offers comfortable accommodation in its 4 spacious bedrooms each is 36 sqm. 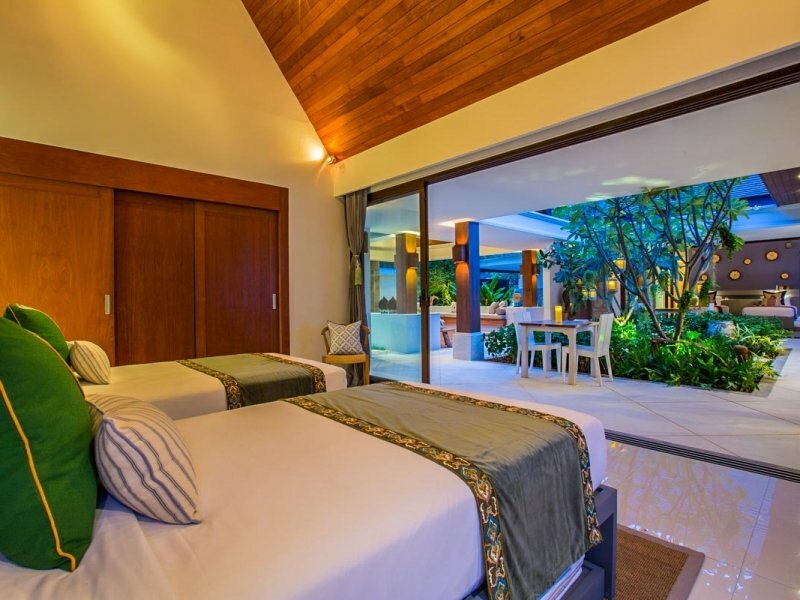 The 2 master suites open up to pool deck and ocean to the front, and to the covered patio and dining area to the side. 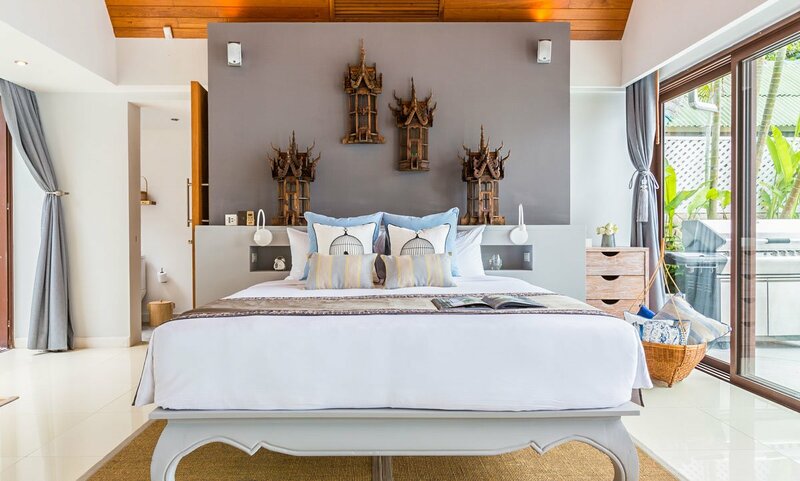 Master suites boast king-size beds, feature walls with interesting ar2rk, built-in headboards with reading lights, and TVs with DVD. 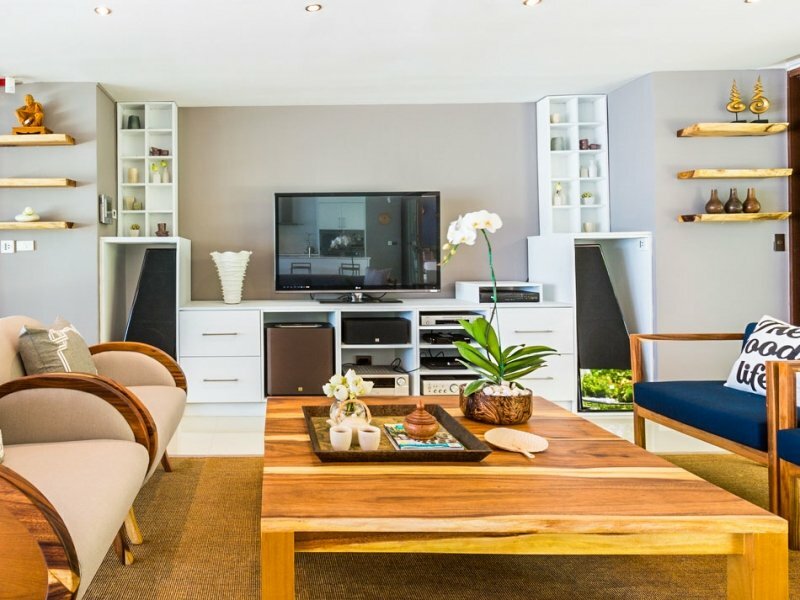 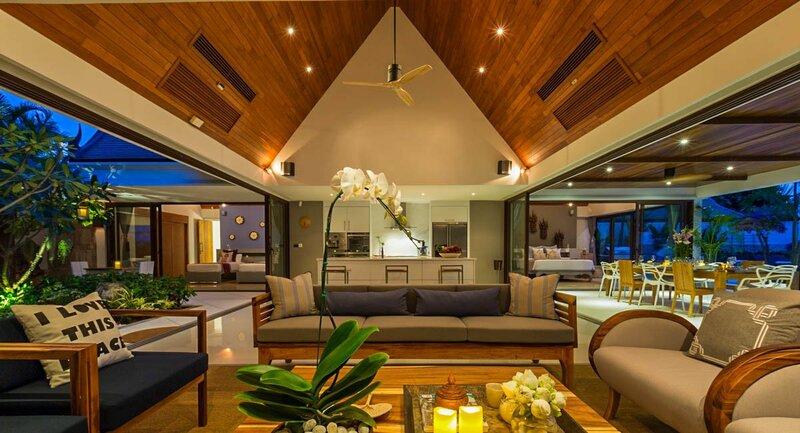 As with the living room, ceilings are vaulted and can be cooled by either air-conditioning or plantation ceiling fans. 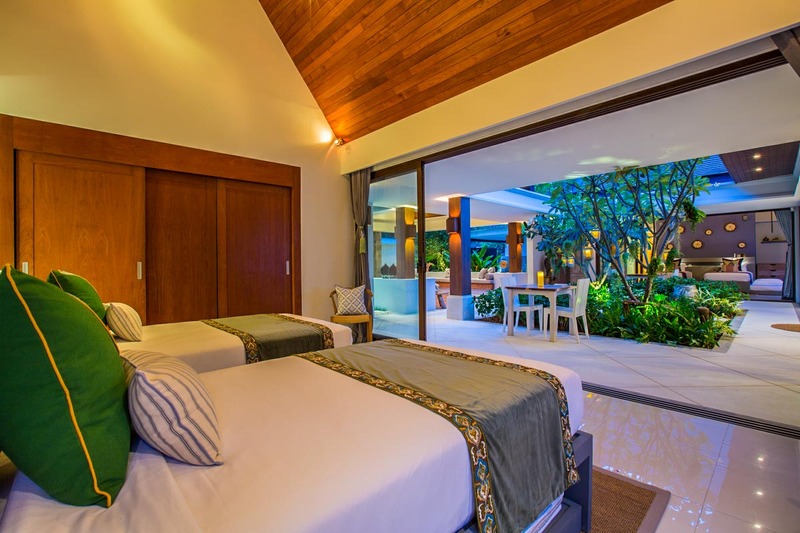 2 triple rooms (twin beds plus a pull-out bed) open up to garden courtyard with seating areas and tropical plants. 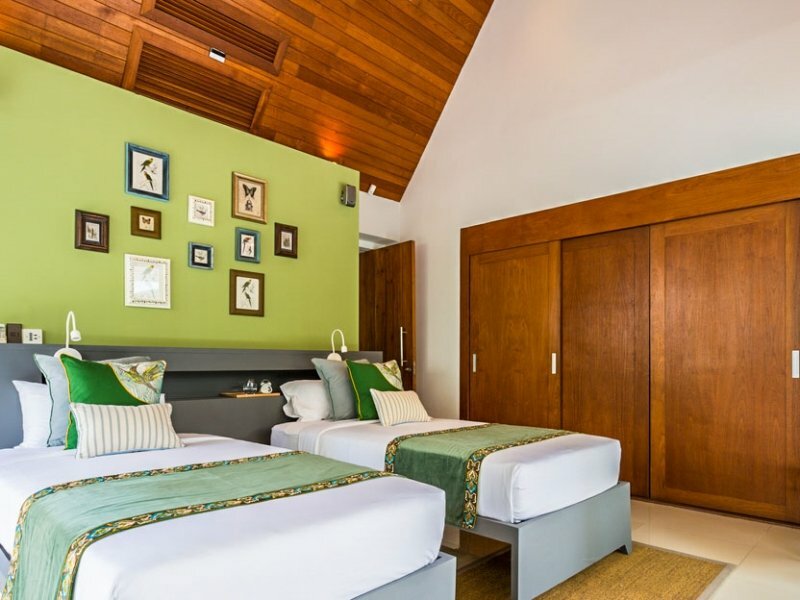 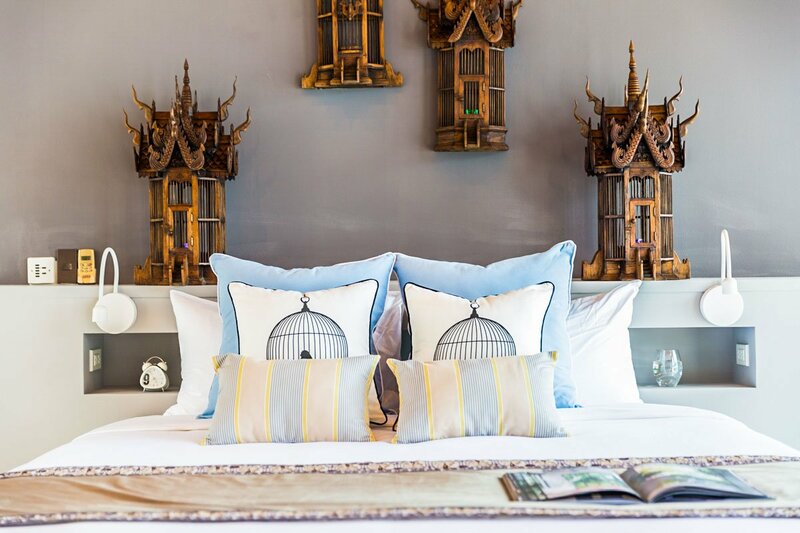 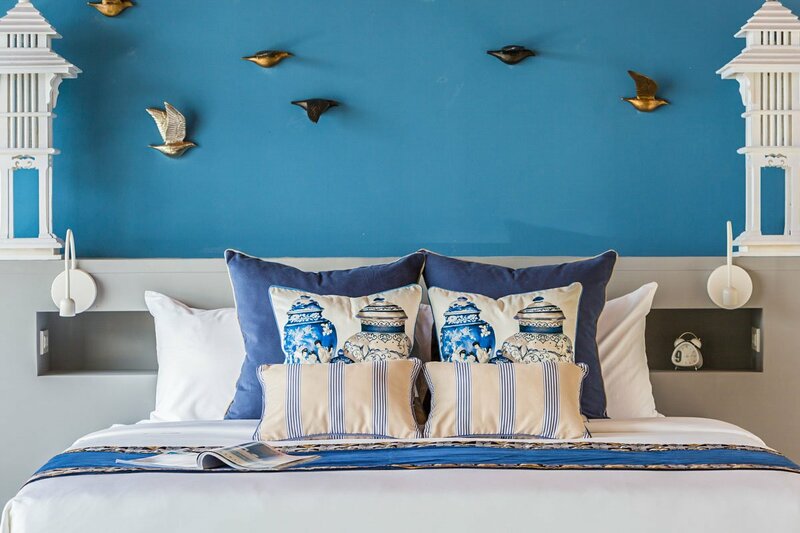 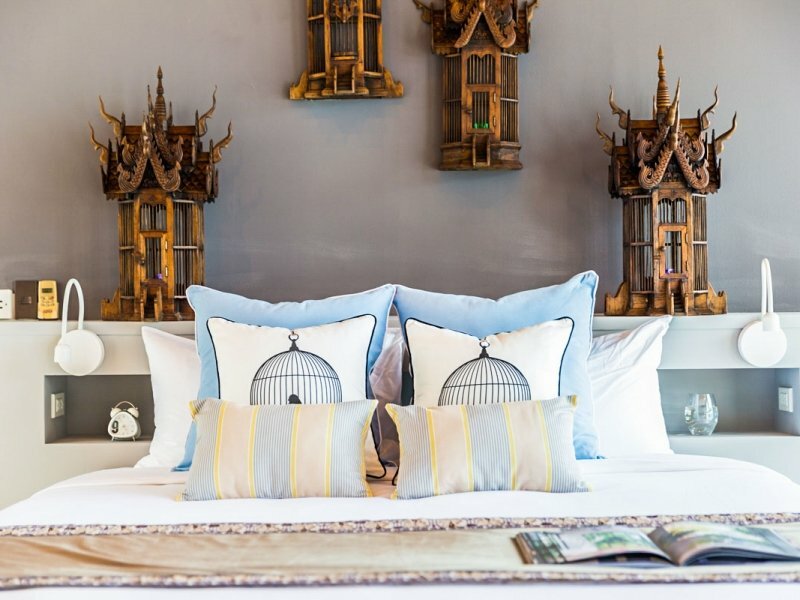 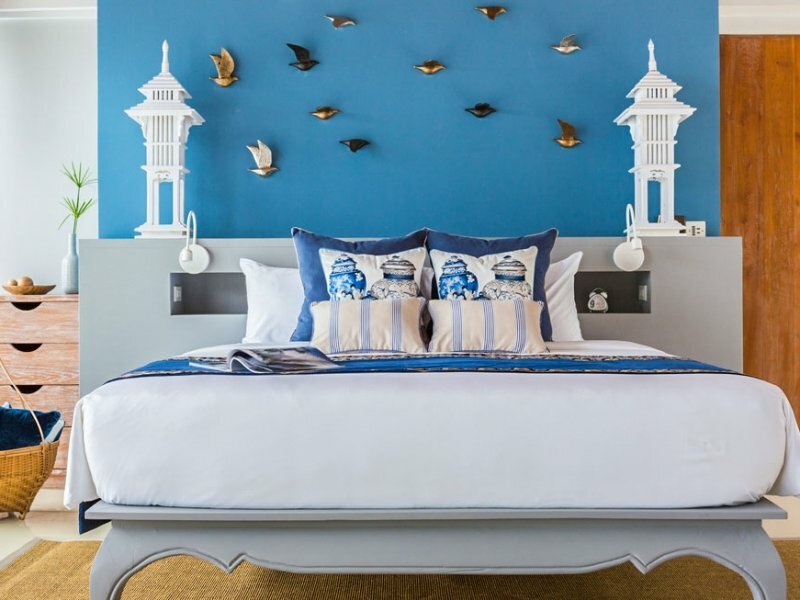 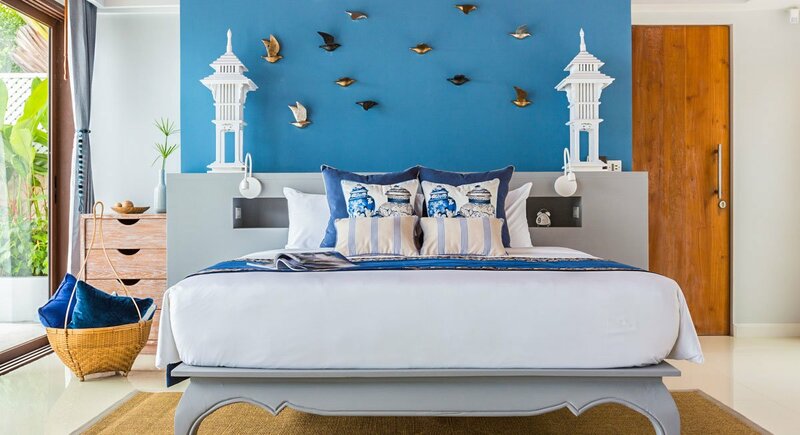 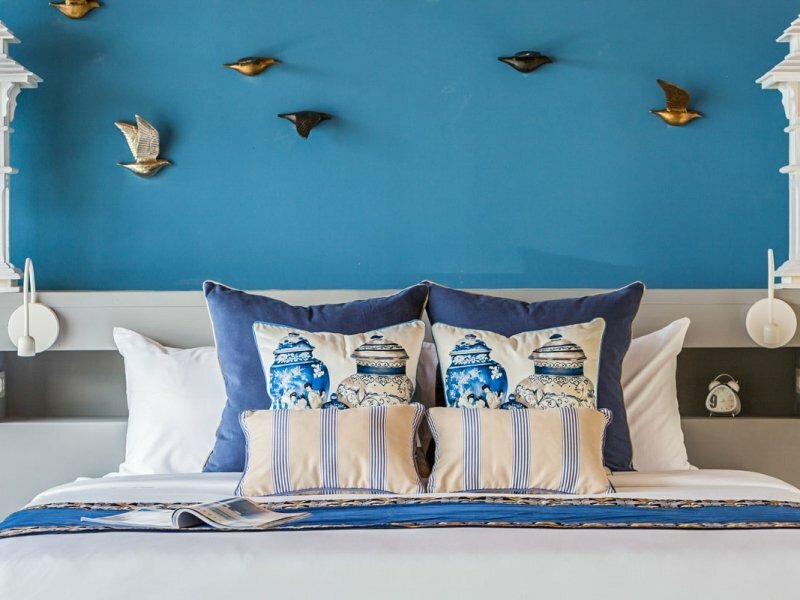 Each room is uniquely furnished in its own colour scheme, in cooling shades of blue and green. 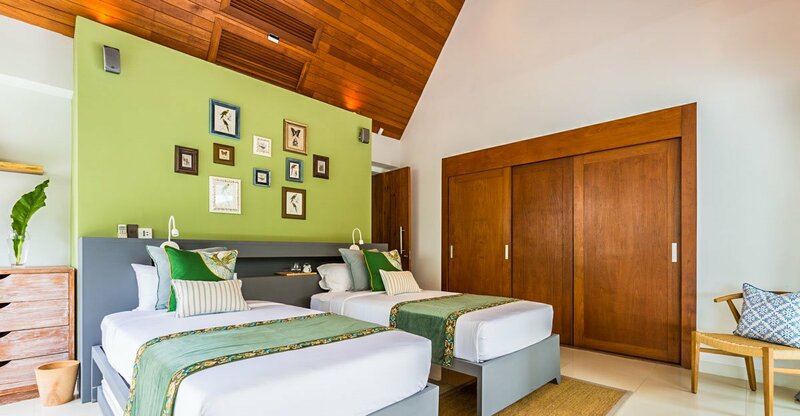 The triple rooms also offer TVs with DVD, as well as plenty of wardrobe space. 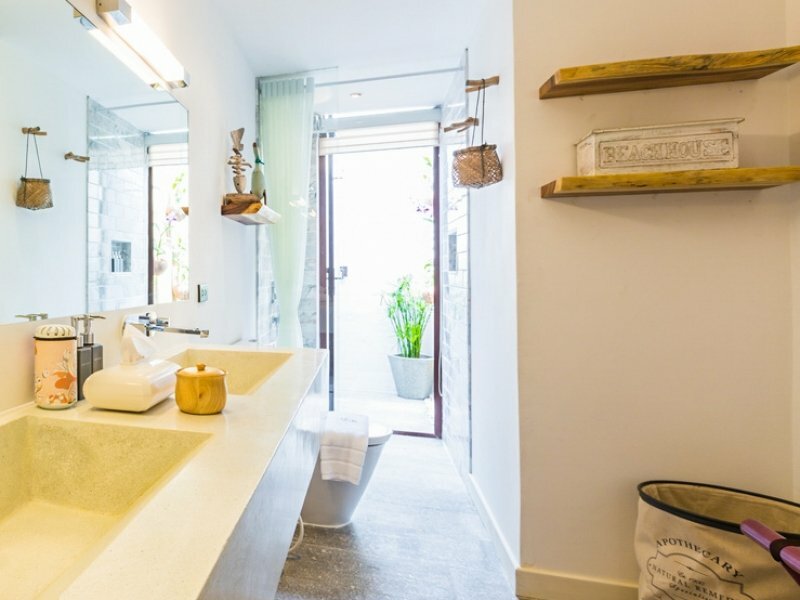 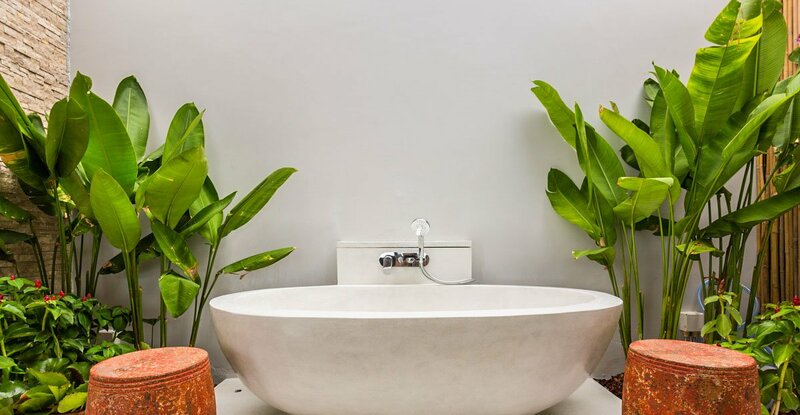 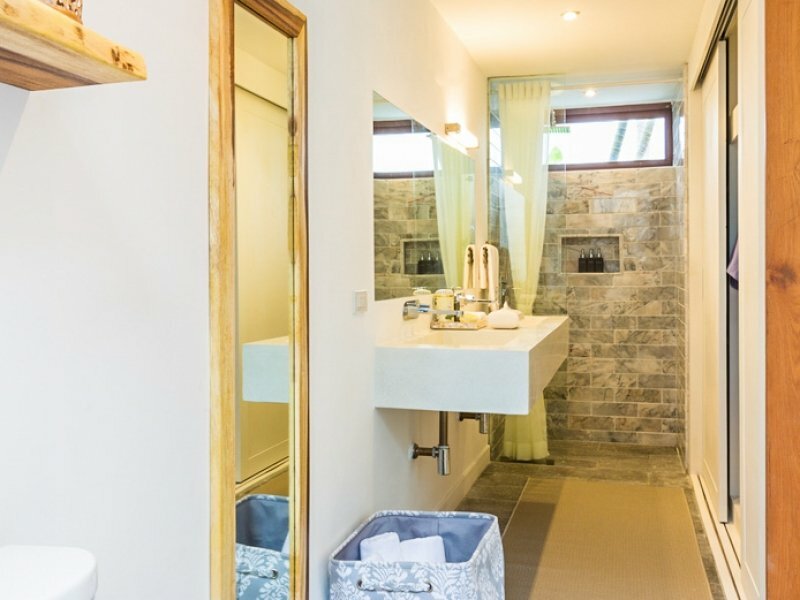 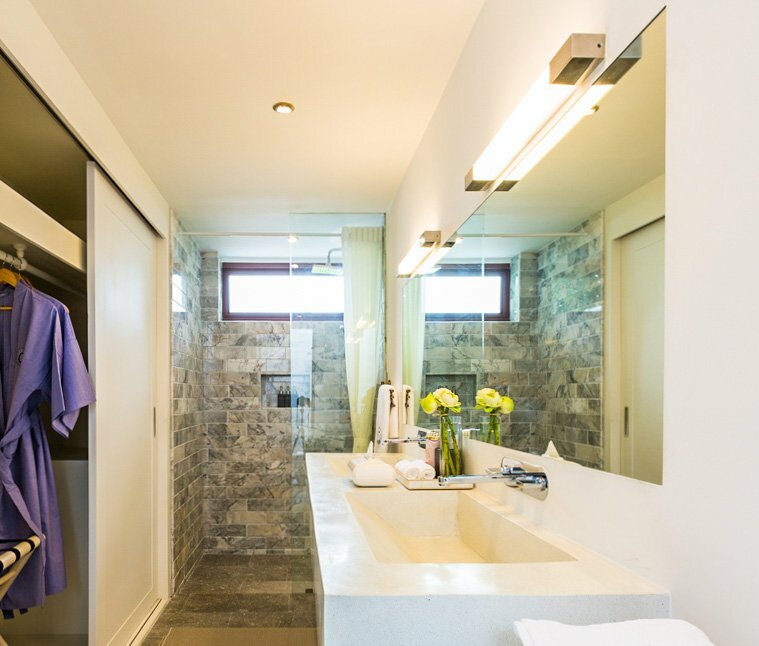 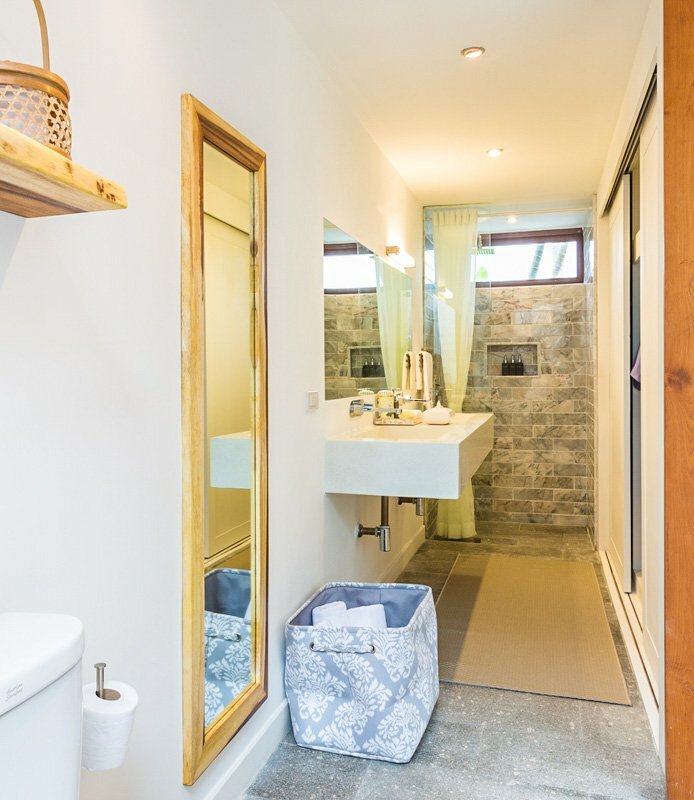 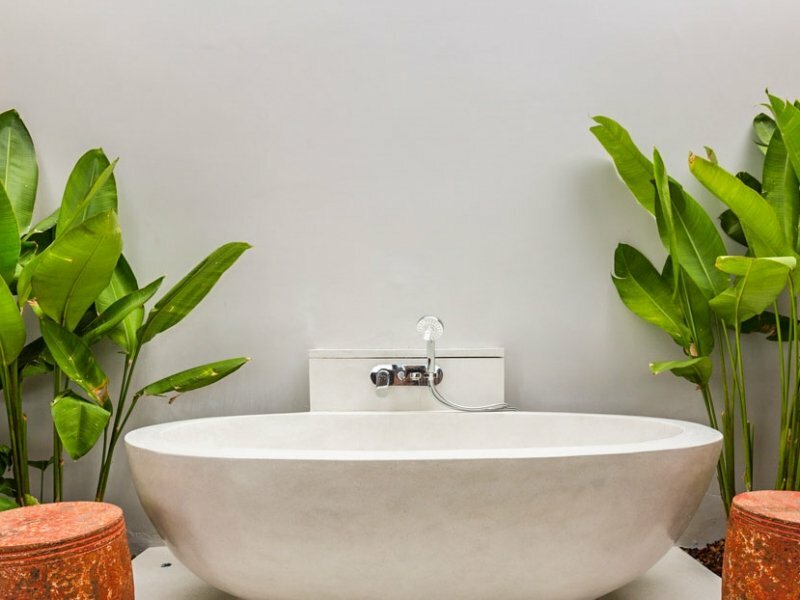 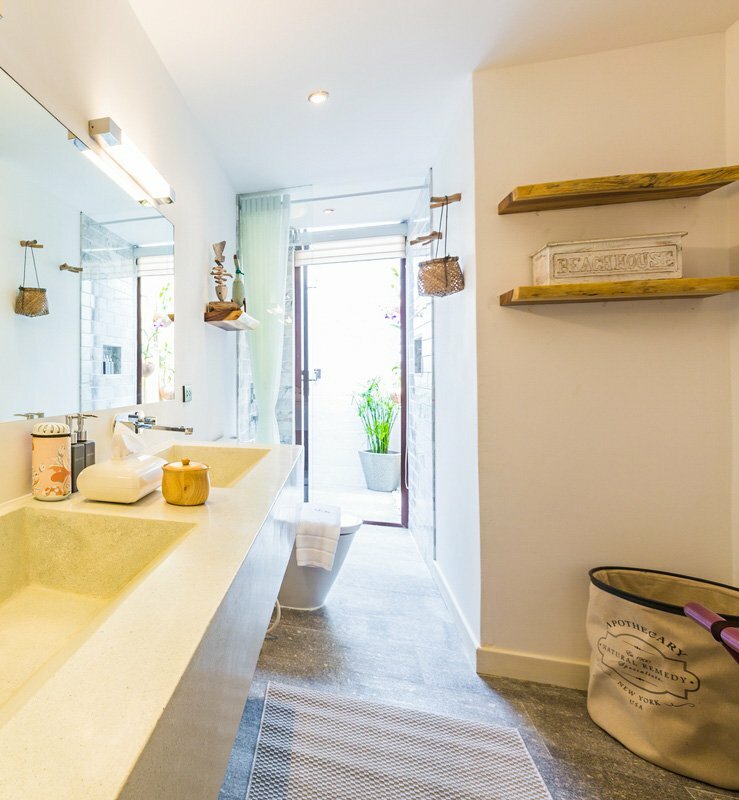 En-suite bathrooms are equipped with outside rain showers set in private tropical gardens, as well as indoor showers, double vanities, and dressing areas. 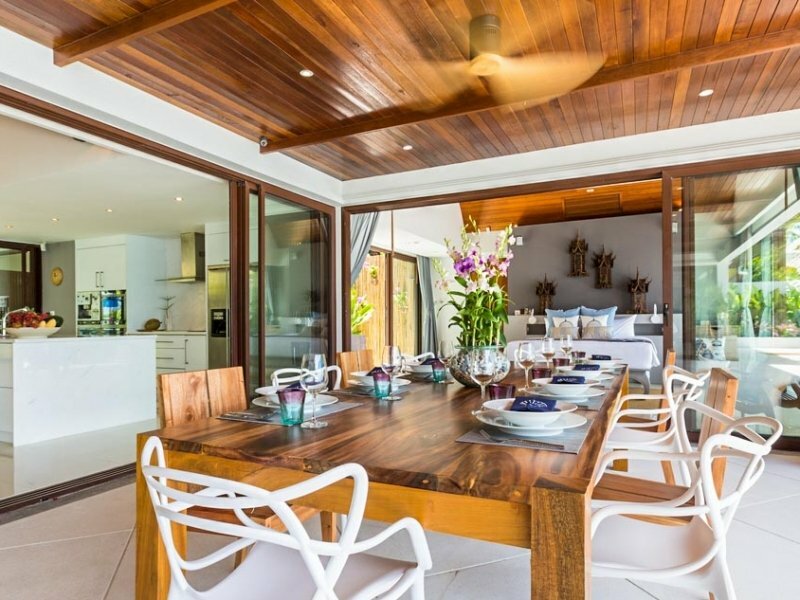 Staff at Baan Capo have their own entrance, as well as a separate service area. 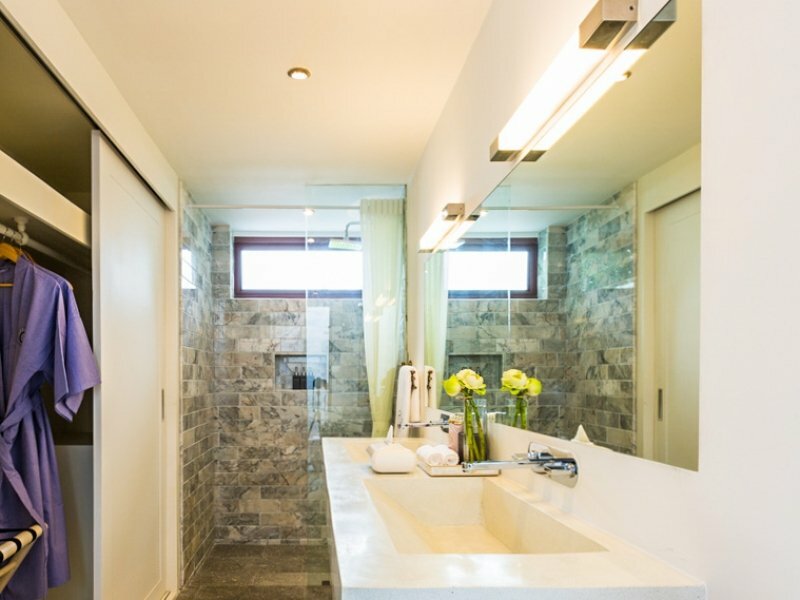 The attentive yet unobtrusive manageress and her crew are there when you need them, yet out of sight when privacy is required. 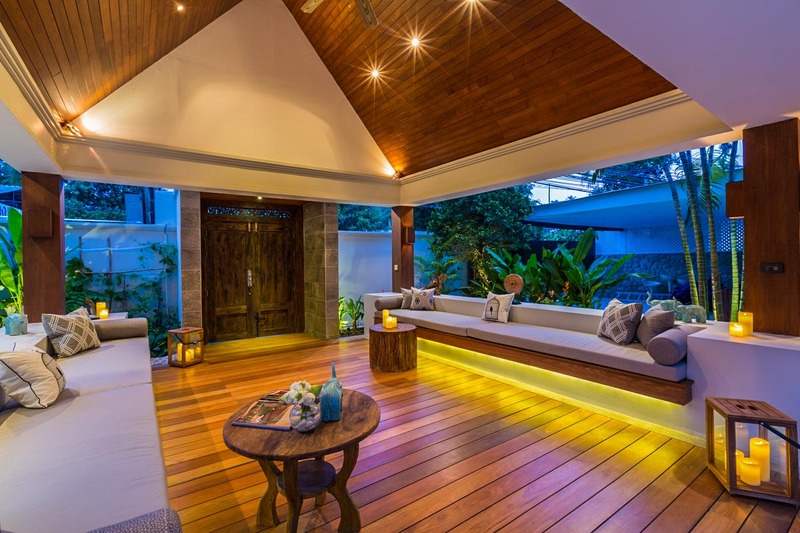 A continental breakfast with a twist is served on the covered terrace with its views, making a great way to start the day. 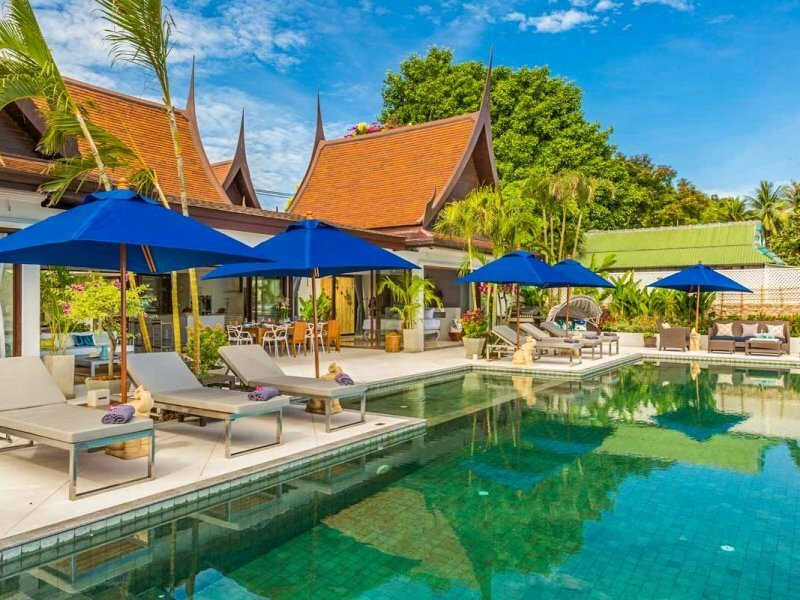 Guests can enjoy the flexibility of having their own Thai cook on hand to prepare fresh, local produce and favourite Thai and international dishes (ingredients for guests’ account). 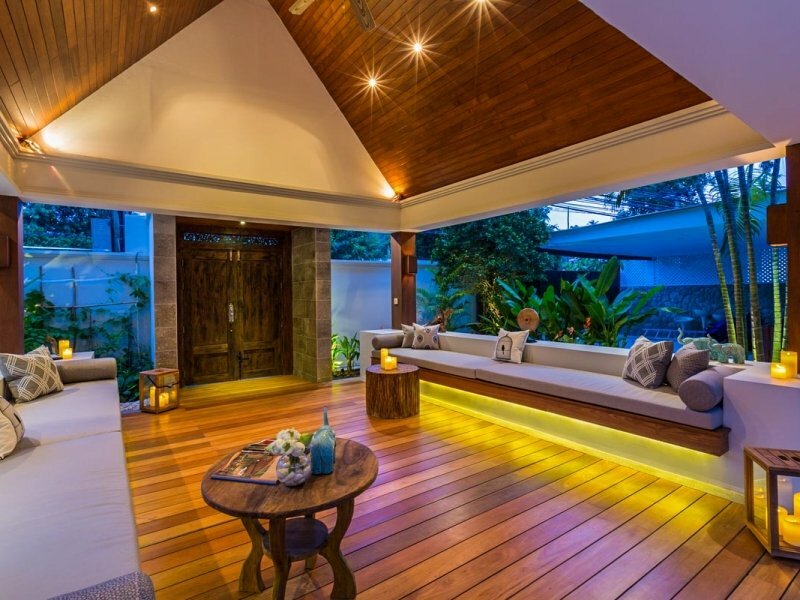 The pool deck is the ideal spot to watch the sun go down while enjoying cocktails and a barbeque. Bang Rak is an active beach with plenty going on, making for an interesting view – fishermen set out their nets, boats come and go, and the views are endless to the small island of Koh Som and beyond to neighbouring Koh Phangan. 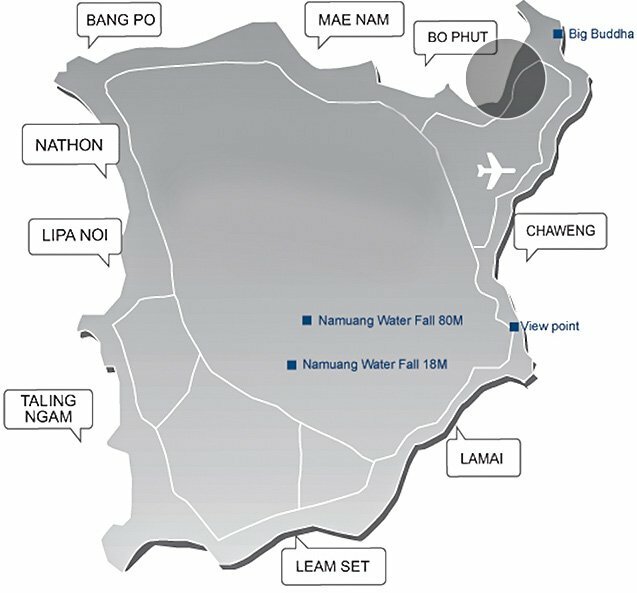 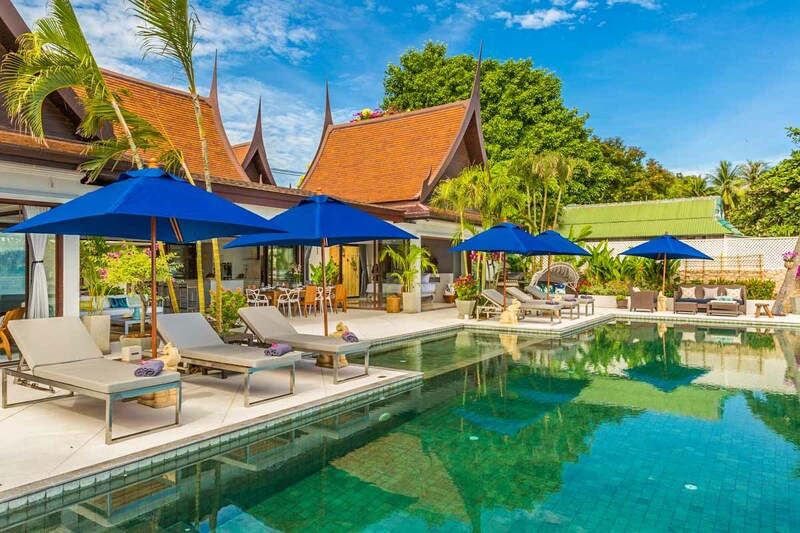 The village is central, with plenty of restaurants in walking distance, ranging from fine-dining to local street cafes serving both Thai and international cuisine. 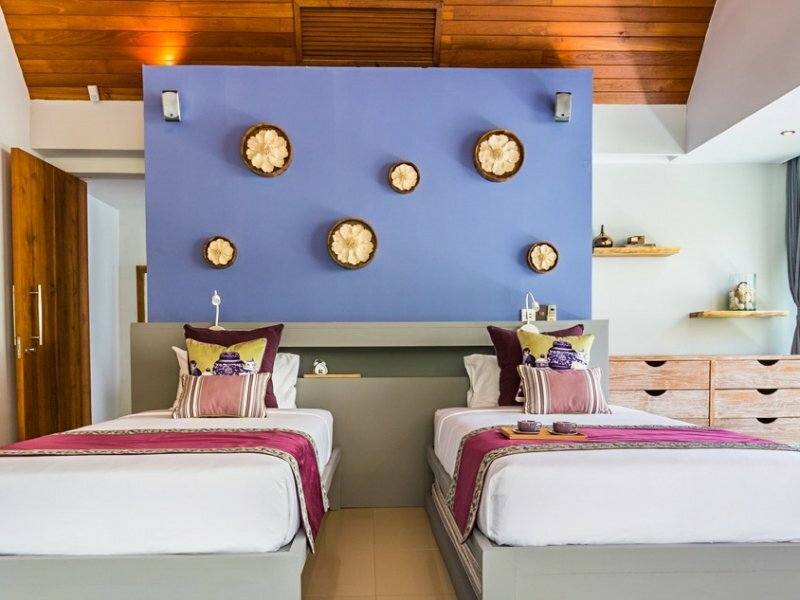 Fisherman’s village is only a couple of-minutes drive away, and the nightlife of Chaweng Beach is just over 10-minutes away for those who want to venture further afield.